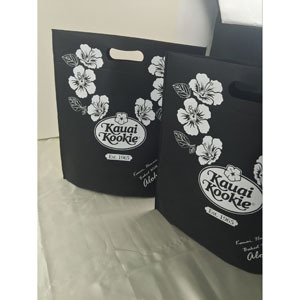 Are you tired of seeing the same old reusable bags everywhere? 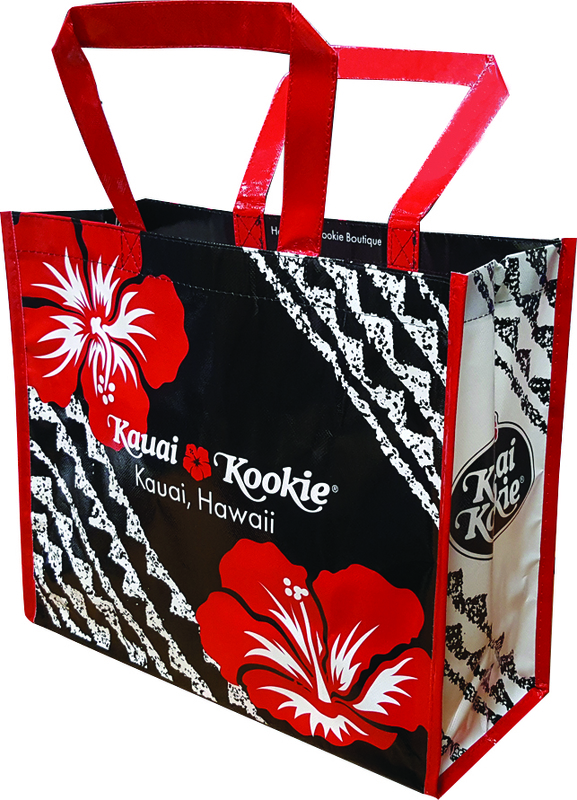 Purchase one of our Red, White and Black Kauai Kookie eco tote Shopping bags to make a bold, creative statement. 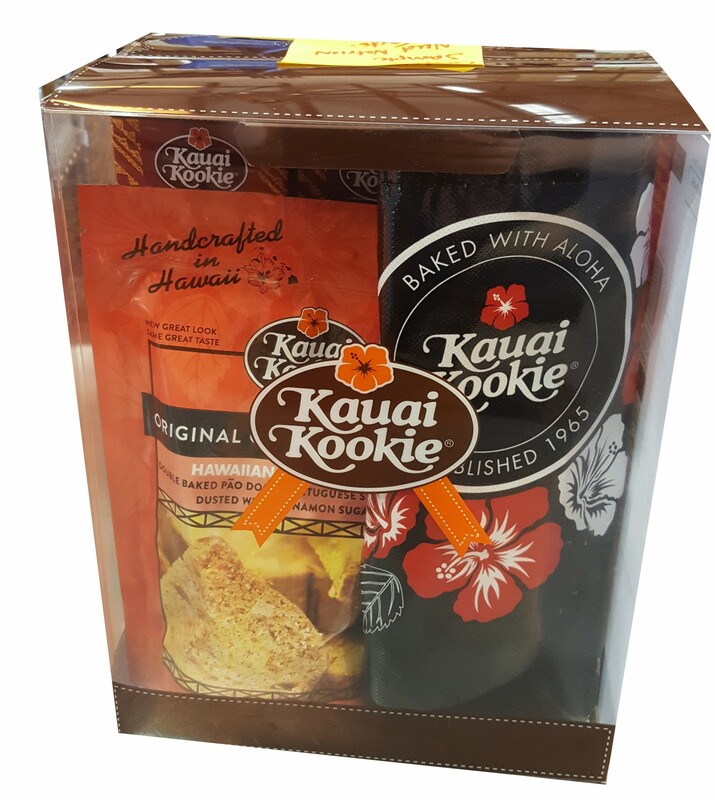 Perhaps even spark a conversation about your wonderful visit to Kauai at your next grocery checkout.